The Oxford Arts Alliance is celebrating their 10-year anniversary in 2018. The Alliance began as a Fine Art Gallery… and then came the music and art education programs, the brainchild of a 23-year-old music school graduate with a vision. We had a chance to sit down with Director of Education, Tony Derrico to learn about how the education programs developed and the amazing things happening at 38 South Third Street. Instructors are mainly pulled from those graduating from Cecil College’s music program. Tony, who is also an Assistant Director at Cecil College, has a goal of keeping those who study music or art in that field. He has found that if they use those skills they learned in college soon after graduation there is more of a chance they will stay with it for their career. 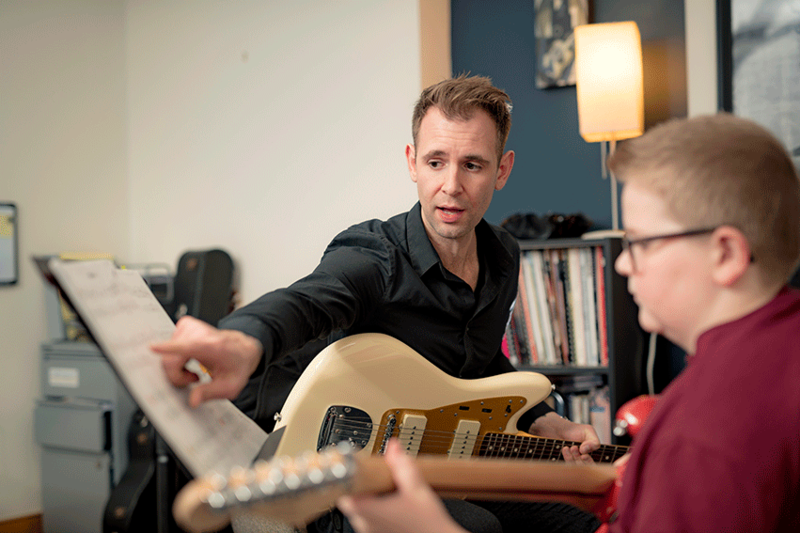 Tony has spent years teaching music to hundreds of students of all ages and we are lucky to have such a passionate instructor right here in Downtown Oxford. While he doesn’t currently play with a band, his interest now lies in composing and arranging. You can see his work at Cecil College, where he is the Assistant Director of Chamber Ensemble and take lessons from him at the Oxford Arts Alliance.